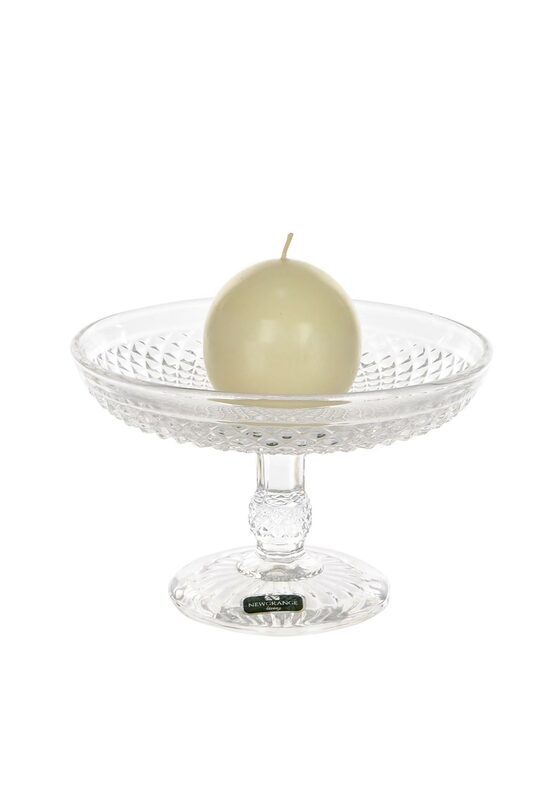 A gleaming glass enigma ball candleholder from Newgrange living. This beautiful candleholder has a tall steam leading to a round flat plate that features a round ball shaped candle. This candle holder would make a great table centre piece.